Consulting Frameworks: Are you Trivializing Leadership? This observation stuck with me, as I understand what lurks behind that gross generalization. I had just wound down twelve years with a speakers agency where we routinely coached thought leaders to distill complex ideas into 20-60 entertaining and life-changing minutes. Watch enough keynotes and TED Talks and you would be forgiven for assuming pretty much anything can be tackled in three steps, four agreements, seven habits, or some dazzling constellation thereof. Over the course of our meandering conversation Mike shared how, in his estimation, it is simply a fallacy that everyone can be a leader. It takes some nature and some nurture. Furthermore, leadership is extremely heterogeneous and context-based. The real value of a leader is the ability to look over the horizon, peak around the corner, synthesize data and offer a vision for the future. With that vision in mind leaders then pull the knobs and tweak the dials and levers available at any one time. Leadership is not a box on an org chart, but a complex set of behaviors. Mike also pointed out that there is a powerful intuition piece to leadership that only comes from time and experience working with people. Ultimately, leadership is extremely hard work. It takes enormous effort. At the end of the day, good leaders make more good decisions than bad. Affection and affinity for their favorite consulting frameworks aside, I am sure most consultants would agree with Mike. I personally love Mike’s boldness—his approach cuts through some of the jargon and models we can easily get lost in. I find his approach right sizes change and leadership: you know that old adage about knowing the size of the beast in order to choose the appropriate weapon? If you miscalculate the challenges ahead of you, you likely won’t select the right approach or tools. Not to mention that your expectations are going to be way out of whack. Of course all consulting frameworks have their limitations but they are only truly damaging if they are held up as gospel. Change is brutally hard. Great leadership is complex and context-based and some of it will never be available to all of us. I am totally onside with Mike. What he got me thinking about was whether we at Actionable are also trivializing change or leadership. But what I love about Actionable Conversations is that its whole raison d’etre as a platform is to prompt all of us to continually try stuff out. It is not about reducing the difficulty of change or about providing a facile framework for leadership development. It is about providing a light touch framework for making things happen, getting great work done. It’s a framework for sparking, prompting, promoting, and ultimately nurturing the better and more frequent conversations that provide the bedrock of experience leaders need to evolve. It helps leaders embed learning within the culture of their teams and organizations without an over-reliance on any single consulting framework. The emphasis, rather, is on experimenting, exploring, discussing, and applying. Try something! Don’t evaluate a particular concept to death, don’t spend hours immersed in the content in a vacuum. Nope. Grab hold of an interesting idea, apply it to your team’s situation, discuss it and then try something different as a result of that. Discuss. Do. Learn. Repeat. Another of our partners, Toronto based Catherine Harrison, uses the same approach when selling the platform in. 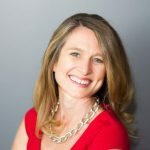 Rather than have her clients get bogged down in the details of what is the content exactly, how does it work etc., she just encourages them to try it out with a pilot. Our partner community is full of activators, doers, and early adopters. People who are getting things done. It’s not about any single framework or methodology, it’s about reducing the friction around trying new things. Frameworks can be helpful for evaluating situations and deciding on a course of action—but they cannot replace the complexity of thought required to tackle the challenges of leadership in a VUCA world. 1.) Does she want to get up? 2.) Will she and does she enjoy eating? 3.) Does she ask me to open the door so she can look out at the world? 4.) Will she engage in play? Okay, this is not a framework for leadership or change but it was a simple framework that helped Natalie work through an extraordinarily painful situation. She is going to have to slog through the grief when it’s time, but for now this framework helps her make some brutal decisions. I received Natalie’s story and approach as a gift—I will be using these questions to evaluate my own quality of life. And Mike, even low empathy Mike would agree, anything that can help shape our painful complexity, and distill it into manageable pieces, is welcome! So I give you all Natalie’s framework: Am I joyful at the start of my day? Do I want to and do I enjoy eating? Do I throw open the door and want to look out at the world? And finally, do I engage in play? If you are answering yes to these questions, you are fully alive and likely on the ground floor for tackling the challenges of change and effective leadership today. As Mike pointed out, consultants love their frameworks. A system and methodology are comforting—often to a fault. Instead, I urge our partners to approach each challenge with a sense of play, and an appreciation for the complexity of the world we live in. Stop wasting valuable time and energy looking for the three-step silver bullet, the personality test that unlocks the secret to great leadership, or the definitive TEDTalk on creating great organizational culture. Instead, start doing. Try things out. Ask questions every day, and learn from past efforts. Pivot when necessary. Engage in play. Have frequent conversations with your clients and prospects, and get to know them as people—not just line items on your balance sheet. Get a little better everyday.